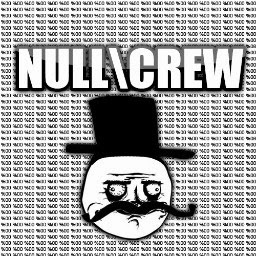 The Nullcrew Team is back! After several months, the group returned with a new database leak. They claimed to have hacked into the Bell Canada website(www.bell.ca) and compromised the database server. Just few hours before, the group published a link to leak(http://nullcrew.org/bell.txt). The leak contains thousands of usernames,email addresses and plain-text passwords and even some credit card data. "Go f****g figure, people who are suppose to provide secure connection to the internet?.. They can't secure themselves, and with that said?" Hackers wrote next to the leak. "Successful day hacking internet service providers is successful. #NullCrew" Tweet posted by hackers on Jan 14 reads. It appears the group also had a talk with Bell support team. "We'd like to give a shout-out to the beautiful people over at twitter.com/Bell_Support. First of all, asking a hacker their providence made all of us lolololol!" The group said.